Although it is a young population, the history of it goes back to a distant past: the Roman presence in the area dates from the third century, as attested by the archaeological remains found at the mouth of the Guadalmina River. Here we find an early Christian set in which we can visit the Roman baths and 500 meters from them, the Basilica of Vega del Mar, built in the last third of the fourth century. The Basilica, built with large boulders together with lime mortar, contains a hundred graves. It is likely that both the basilica and the necropolis, were part of the Roman city called Cilniana. Sixteenth century watchtower is found in the mouth of the river. This was part of the defensive system that existed along the entire coast of Malaga. "Industrialization" of the area dates back to the nineteenth century, historical moment of dating the Guadaiza Trapiche, it is the first industrial building dedicated to the treatment of sugar. This village was designed by the Marquis de Duero, who, acting under the Law on Land Afforestation of 1855, created the Agricultural Colony of San Pedro de Alcantara. Initially, the settlement had 12 houses distributed so scattered through the valley. Subsequently it formalized in a gifted urban center of a plaza at its center. On the west side the church, the town north of San Luis and south Barracks Civil Guard and the inn was. Soon, this urban center had 146 houses, distributed in three parallel streets that ran from north to south, and several cross. The first known census data from 1860, and tells us that this population center had 36 habitants; a year later increased to 529 habitants. This increase in population has its origin in offering specialized work for the Marquis de Duero required farmers. In this way, they went to San Pedro de Alcantara farmers in the area of ? ?the Spanish Levant and the provinces of Granada and Almeria, which historically was called "Settlers". These were offered new and attractive working conditions: housing, family garden and commissary. It was an ambitious project for small dams that allowed to launch an irrigation system through which it could introduce new forms of intensive culture were built. On the other hand, they were imported from America and Europe, new techniques of agricultural machinery. Transfer San Pedro de Alcantara. Limo San Pedro de Alcantara. 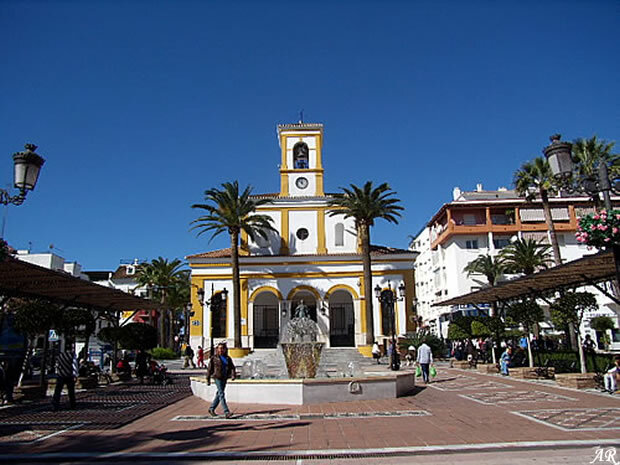 Car rental with driver San Pedro de Alcantara. Cars for weddings San Pedro de Alcantara. Shuttle San Pedro de Alcantara. 4.6 of 5 based on 1225 votes.